This grant funds a research project to understand the degree of importance of gender and satisfaction with support systems on academic outcomes in accelerated nursing programs. The project will help gain an understanding of educational progress in accelerated degree nursing students in the New Careers in Nursing program and could lead to the development of new programs or improvements to existing programs. This grant provides funding for the Child and Family Research Unit (CAFRU) to implement its CLEAR trauma-informed school response model in the Mt. Baker School District. The CLEAR (Collaborative Learning for Educational Achievement and Resilience) model was developed by CAFRU to help schools deal with the effects of childhood trauma on children who are directly affected by it, as well as their peers. Implementation of the program includes on‐site monthly consultations and professional development trainings. This is funding provided through the WSU Alcohol and Drug Abuse Program (ADARP) for a study that looks at genetic influences on THC‐COOH glucuronidation in cannabis use. Glucuronidation is a detoxification pathway in which glucuronic acid is conjugated with toxins in the liver. THC‐COOH glucuronide conjugate is the most abundant cannabis metabolite found in urine. One gene that is highly active against THC‐COOH is UGT1A1. This study looks at whether a variation of the UGT1A1 gene may reduce THC‐COOH glucuronidation in the human liver and intestine. In addition, a quick and sensitive liquid chromatography/mass spectrometry method to detect and quantify THC and its metabolism will be developed as part of this study and will provide support for cannabis-related research within WSU. This grant funds a project aimed at improving medication adherence in older adults with multiple chronic medical conditions to achieve positive population health outcomes. The project team will use a tool kit developed in an earlier study funded by the Patient Centered Outcomes Research Institute (PCORI) to deliver interactive presentations to older adults and their caregivers in rural community settings, such as senior centers and subsidized housing apartments. The toolkit is designed to promote the skills patients need to proactively engage with their health care providers about medication use, which the previous study suggested affects medication adherence. This grant funds a preclinical study to evaluate the safety and efficacy of NCS‐382 as a potential treatment for inherited succinic semialdehyde dehydrogenase deficiency (SSADHD), a rare disorder of gamma‐aminobutyric acid (GABA) metabolism. GABA is a neurotransmitter that controls movements in humans, and an imbalance in GABA levels causes major neurological abnormalities. In patients with SSADHD, GABA and another neurotransmitter, gamma‐hydroxybutyric acid (GHB), accumulate in the brain. NCS‐382 blocks the effects of GHB in animals. The goal of this study is to evaluate whether NCS‐382 will reduce neurological symptoms in a mouse model of SSADHD safely and effectively. This project involves the creation of a biorepository to support research on succinic semialdehyde dehydrogenase deficiency (SSADHD), a rare metabolic disorder that can cause a variety of neurological symptoms. The biobank created by this project will hold biospecimens and matching clinical data that will be collected longitudinally from all interested patients, siblings, and other family members as well as from unaffected, age‐matched control individuals. Biospecimens will be available to investigators around the world who are engaged in SSADHD research. This contract provides funding for WSU to develop, implement, and validate an offender risk and needs assessment tool for use by the King County Department of Adult and Juvenile Detention in western Washington. The tool will help detention staff identify intervention needs (such as training and mental health or substance abuse treatment) and assess the risk involved in releasing detainees back to the community. The Extension Youth and Families team received a series of grants to provide nutrition education and obesity prevention services to individuals and families eligible for Supplemental Nutrition Assistance Program (SNAP) assistance in 20 different counties in Washington State. This grant provides funding for internal capacity building to manage the SNAP Ed FY17 grants within a new regional structure that treats each WSU County project as an individual grant. Previously, WSU held one large grant covering all counties involved. The grant provides training and development for 21 WSU SNAP Ed coordinators. The goal of this project is to determine the cellular mechanisms that underlie sleep homeostasis, the process that regulates the pressure to sleep based on prior wakefulness. Since impaired sleep homeostasis can cause poor sleep, it’s important to understand the cellular processes involved in sleep homeostasis. This study will look at glial astrocytes, which are found throughout the brain and may play a central role in sleep homeostasis. Astrocytes drive how brain tries to compensate for sleep loss. Because the chemical signaling between glial astrocytes is associated with changes in intracellular calcium, this study will use a mouse model to test the hypothesis that intracellular calcium dynamics contribute to the accumulation and discharge of the pressure to sleep. Study results will provide new insights into how glial astrocytes affect sleep homeostasis and will bring scientists one step closer to understanding the underlying causes of abnormal sleep. This contract funds a pilot study to evaluate an early intervention system implemented by the Seattle Police Department. The study will determine the system’s ability to correctly identify police officers who are exhibiting behavior that is problematic and warrants investigation. The researchers will use metrics they have developed to evaluate the field performance of officers flagged by the early intervention system and determine how many of those flagged are actually exhibiting problem behaviors. This grant provides funds for equipment to support a newly appointed faculty member in the College of Pharmacy’s Department of Pharmaceutical Sciences, Zhaokang Cheng, and to establish a histology core facility. Cheng investigates agents that inhibit a molecule known as cyclin‐dependent kinase to see whether they can prevent damage to cardiac muscle cells. These agents could then be used in conjunction with drugs that are known to be toxic to the heart (such as certain antibiotics and anti‐cancer drugs) to reduce their toxic burden. Cheng is also interested in better understanding the mechanisms that underlie cardiac cell death, which may ultimately allow the development of new therapies to counteract cell loss following myocardial injury (heart attack) and improve outcomes in patients with heart disease. The histology core facility will provide researchers with the tools and expertise necessary to process and analyze tissue specimens. This study will look at the use of an accredited training program to train pharmacy technicians in Idaho to administer immunizations. Specifically, it will collect data on training exam results, responses to a survey on the training experience, and data on the number of immunizations provided by training participants between November 2016 and May 2017. These data will be used to determine the effectiveness of training; understand and, if necessary, improve the training experience; and assess the impact that training pharmacy technicians has on immunization rates. This subaward funds WSU’s assistance to a project conducted by Ringful Health. With funding from a Small Business Innovation Research grant awarded by the National Institutes on Drug Abuse, Ringful Health is developing and testing a mobile‐based, shared decision making tool to prevent substance abuse. The tool will engage patients and clinicians in a primary care setting and is designed to increase the proportion of patients who are successfully linked to and receive indicated follow‐up specialty substance‐use‐disorders care. 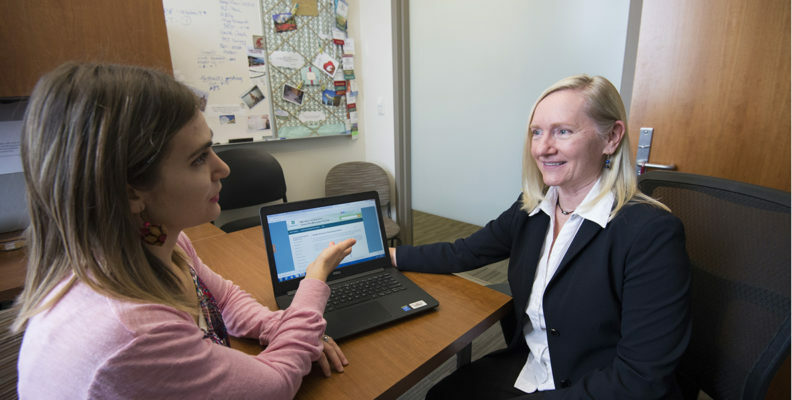 This is a subaward for WSU’s assistance with the Harm Reduction with Pharmacotherapy (HaRP) clinical trial conducted by the University of Washington. The HaRP study evaluates the efficacy of using a medication known as XR‐NTX to supplement psychosocial harm‐reduction approaches to treating alcohol dependence in homeless people. Psychosocial approaches—such as “housing first” and alcohol management programs—are being used as an alternative to abstinence‐based alcohol treatment, which has been shown to be minimally effective at engaging and treating homeless people. XR‐TNX is an extended release formulation of a drug that blocks the opioid receptor and is injected on a monthly basis. The clinical trial compares three treatment groups who will receive 1/ XR‐NTX and harm‐reduction counseling, 2/ placebo and harm‐reduction counseling, and 3/harm‐reduction counseling only with a group of participants who will receive the usual services provided by community agencies. This is a subaward for WSU’s support for the Harm Reduction Treatment for Alcohol Use Disorders (HaRT‐A) study. The HaRT‐A study is a pilot randomized controlled trial to evaluate the initial effectiveness of an individual harm reduction treatment for homeless individuals with alcohol use disorders. It comprises a four‐session individual, behavioral alcohol use disorder intervention that provides personalized alcohol feedback, elicits participants’ harm reduction goals, builds motivation, and supports the use of safer drinking strategies using a nonjudgmental, empathetic stance. The WSU team will conduct the intervention, consult on American Indian/Alaska Native cultural factors affecting the study, and assist the principal investigator in the analysis and dissemination of study findings. This grant provides funding from the WSU strategic reallocation initiative to establish WSU as a world leader in nutritional genomics, the science that studies the relationship between the human genome, nutrition, and health. This new research initiative will leverage existing resources on the Spokane and Pullman campuses—including the Elson S. Floyd College of Medicine’s Department of Nutrition and Exercise Physiology—and build new infrastructure and intellectual capital to advance human nutrition. It will seek to identify connections between modern agricultural innovations, food production, and health outcomes in diverse populations. This grant funds a commercialization project that involves gathering clinical data to demonstrate proof of concept for a patented pain measurement device for infants in the neonatal intensive care unit (NICU). The project will help the investigators attract a commercialization partner, with whom they will work to build a pain module that fits within the monitor architecture of NICU units. The pain measurement device has the potential to improve pain management in premature infants and helps to prevent negative effects of pain on the developing brain. This is an award given under the American Speech and Language Hearing Association (ASHA) Advancing Academic‐Research Careers (AARC) program. The award is designed to provide support to a junior‐level faculty in the field of communication sciences and disorders through mentored teaching and research opportunities for 18 months. Lauren Swineford—an assistant professor of speech and hearing sciences—will use the award to develop her career with teaching mentor Ella Inglebret—an associate professor of speech and hearing sciences at WSU—and a research mentor at the National Institutes of Health. This grant funds education and service activities within the Elson S. Floyd College of Medicine aimed at increasing access to health services in rural communities. The award supports the mutual strategic goal of the college and the Empire Health Foundation to increase the number of practicing physicians in rural communities in Eastern Washington. This is a subaward that funds WSU’s contribution to a project conducted by the Fatigue Countermeasures group at NASA Ames, which is reviewing how well mathematical models predict cognitive impairment that results from sleep loss and circadian misalignment in astronauts. NASA’s review includes a mathematical model developed by Van Dongen and his team, who are providing them with advice on how to employ the model in laboratory and field scenarios. This is an award for a WSU‐led substudy of a University of Washington research project to evaluate the efficacy of self‐hypnosis and mindfulness meditation training to treat chronic pain in veterans. The substudy will investigate the relationship between sleep and pain to determine whether improved sleep early in the course of treatment improves pain and sleep outcomes later. The study will follow 135 veterans enrolled in the parent study and will collect sleep measurements through wristband sleep monitoring devices and sleep surveys for one week just before their intervention, immediately afterward, and three months post‐intervention. The study will increase scientists’ knowledge of the relationship between sleep and pain and could be a first step toward the development of sleep‐based interventions to help alleviate chronic pain. This is renewal funding for a project to help provide long‐term social and emotional community recovery for the community of Darrington, Washington, after the devastating 2014 Oso landslide. Using the CLEAR (Collaborative Learning for Educational Achievement and Resilience) model, the Child and Family Research Unit will support the Darrington School District in meeting the acute and chronic adjustment needs of students and families. It will also support a broader community discussion of the effects of trauma, addressing the landslide as well as pre‐existing challenges—including family violence, untreated mental health and substance abuse, and social isolation—that were long acknowledged but never fully addressed. This is supplemental grant funding for a project that has the WSU Child and Family Research Unit helping Public Health – Seattle & King County implement its trauma intervention program in two elementary schools within Seattle Public Schools. The goal of the project is to maximize the potential for school success for all children by addressing the needs of children who have experienced multiple traumatic events, such as homelessness, parents’ divorce or separation, and exposure to domestic violence. This is renewal funding for WSU’s contributions to the development of an online, interdisciplinary training on comparative effectiveness research and patient‐centered outcomes research, a project that is being done in partnership with the University of Washington. The training will be provided to 24 trainees from partner organizations in Native American, Alaska Native, and rural populations. The ultimate goal is to develop a partner-driven model for a Patient‐Centered Outcomes Research Partnership to help reduce population health disparities, especially in rural and Native populations. This is continued funding for a study of the potential role of the circadian clock—the internal biological clock that keeps us on a 24‐hour cycle—in the development of melanoma, a type of skin cancer that forms from pigment containing skin cells known as melanocytes. Preliminary research by the PI suggests that the protein expression level of the MITF gene—which is involved in melanocyte survival and plays a role in melanoma development—is regulated by the circadian clock. The PI will study the effects of the circadian clock on melanocyte biology, on melanocytic signaling pathways induced by solar UV radiation—a major risk factor for melanoma development—and on cutaneous melanoma development. The study may provide a basis for innovations in melanoma prevention and treatment. The National Diabetes Prevention Program is an evidence‐based program funded by the U.S. Centers for Disease Control that provides education and support for people at risk for type 2 diabetes, helping them make lifestyle changes proven to reduce their risk. Participants’ main lifestyle goals are seven percent weight loss and 150 minutes of physical activity per week. This funding will support the WSU Extension Diabetes Prevention Program at six WSU County Extension sites: Clark, Grant, Grays Harbor, Skagit/Whatcom, Thurston, and Whitman. This is renewal funding for a grant that supports the Pacific Northwest Node of the NIDA Clinical Trials Network (CTN). The Pacific Northwest Node is a multi‐institution, multiple principal investigator effort to continue CTN’s mission to improve the quality of drug abuse treatment throughout the country through science. This contract provides renewal funding for the Spokane Math Engineering and Science Achievement (MESA) program. The program builds a pathway to college and careers in science, technology, engineering, and mathematics (STEM). MESA develops programming and initiatives to improve diversity and retention, with an emphasis on traditionally underrepresented students in STEM fields, including African Americans, Native Americans, Hispanic/Latinos, Pacific Islanders, and women. This grant provides continued funding from the federal TRIO programs for the Upward Bound program. Upward Bound is designed to generate the skills and motivation necessary for success in education beyond high school among young people from low‐income families and families where neither parent has acquired a bachelor’s degree. Upward Bound provides program participants with fundamental support in their preparation for college entrance. This Upward Bound project housed at WSU Spokane focuses on four small high schools in Ferry and Stevens Counties. This is the second year of funding for a study aimed at designing, implementing, and evaluating a series of dental care delivery system changes to eliminate racial disparities in pediatric oral health in Alaska. American Indian and Alaska Native children are particularly affected by disparities in oral health, with rates of caries that are double that in white children and untreated caries rates that are two to three times higher. Geographical isolation, dentist shortages, and community mistrust of health care systems exacerbate the inequity. This study will use community‐based participatory research to arrive at a culturally competent, population‐, risk‐ and evidence‐based dental care delivery system. This is the continuation of a subcontract of a grant that funds WSU’s role in the founding—with the University of Washington and University of North Carolina at Greensboro—of a multidisciplinary Center of Excellence on Natural Product‐Drug Interactions Research. The goal of the new center is to create a roadmap for best research practices on how to study potential unwanted interactions between natural products and conventional medications. The team will work with the National Center for Complementary and Integrative Health (NCCIH) officials to identify a priority list of natural products that could affect the efficacy and safety of conventional medications by altering drug distribution and elimination in the body; identify hurdles to studying these interactions; propose approaches to overcoming these challenges; develop a Web portal that will allow other researchers access to data for further analysis; and communicate health implications of findings to the public. This is renewal funding for a subcontract for a pilot project of the Sterol and Isoprenoid Diseases (STAIR) consortium, a collaborative group of investigators dedicated to clinical research on disorders related to the metabolism of cholesterol and other sterols and isoprenoids. This project evaluates cell surface biomarkers in patients with Hyper IgD syndrome (HIDS), a periodic fever syndrome resulting from a defect in the cholesterol pathway known as mevalonate kinase deficiency. A mouse model of this disorder developed by the PI has shown immunity abnormalities that could explain the periodic fever and elevation of IgD. This is continued funding for an NIH‐funded project that seeks to find a better pathway for the delivery of hematopoietic stem cell (HSC) gene therapy to patients afflicted with X‐linked severe combined immunodeficiency (SCID‐X1). SCID‐X1 is an inherited disease that occurs almost exclusively in males. The disease causes those infected to be prone to recurrent and persistent infections caused by certain bacteria, viruses, and fungi and is fatal in the first years of life if left untreated. HSC gene therapy offers the best therapeutic option for many patients. However, researchers have found that HSC gene therapy delivered through gamma‐retroviral vector proviruses have dysregulated nearby genes. The researchers are studying whether foamy virus vectors may be a safer alternative. As part of this study, they will seek to establish the relative safety of foamy virus vectors using a novel approach to assess genotoxicity; develop safer insulated foamy virus vectors; and improve the efficiency of foamy virus vector production. This is continued funding for a subcontract for WSU to establish a webserver for bioinformatics and perform custom bioinformatics in support of an NIH‐funded project. The project seeks to find a better pathway for the delivery of hematopoietic stem cell (HSC) gene therapy to patients afflicted with X‐linked severe combined immunodeficiency (SCID‐X1), an inherited disease that makes those infected prone to recurrent and persistent infections. SCID‐X1 is fatal in the first years of life if left untreated. HSC gene therapy offers the best therapeutic option for many patients. However, researchers have found that HSC gene therapy delivered through gammaretroviral vector proviruses have dysregulated nearby genes. The researchers are studying whether foamy virus vectors may be a safer alternative. This is incremental funding for a subcontract of an NIH grant awarded to UC Davis for a longitudinal study on the changing sleep need in adolescents. Van Dongen will assist in analyzing and interpreting daytime performance data. This is continued funding for a subaward of a Centers for Disease Control grant awarded to the Spokane Regional Health District under the “State and Local Public Health Actions to Prevent Obesity, Diabetes, and Heart Disease” program (DP14‐1422). The goals of the program are to improve environments in worksites, schools, government agencies and community settings to promote healthy behaviors; improve delivery of service to prevent and manage high blood pressure and diabetes; and increase community linkages to support prevention, self-management and control of diabetes, high blood pressure and obesity. The WSU College of Pharmacy will support these goals by developing community partnerships; implementing interprofessional education and community outreach for diabetes and high blood pressure screening and education; and increasing the engagement of community pharmacists in patient self‐management of high blood pressure to meet treatment targets.